My 6 month mastermind is one of the BEST things I offer. I bloody adore it. I think it’s because I get to the chance to get up close and personal with a group of clients. Really get inside their heads and their minds and work out where they want to get to and how I can help them get there. 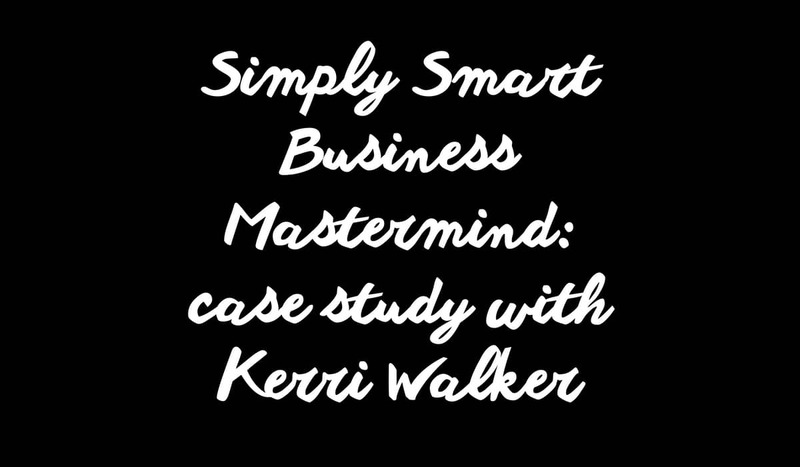 In this video case study, Kerri and I chat about how her experience of the mastermind, how it’s worked for her and what’s happening in her business now. Give it a watch! Soon I’ll be opening up the doors to the mastermind again, and I can’t wait to welcome in a new group of people who want to smash their business goals with me. For more on the mastermind and to sign up to the waiting list, go here.